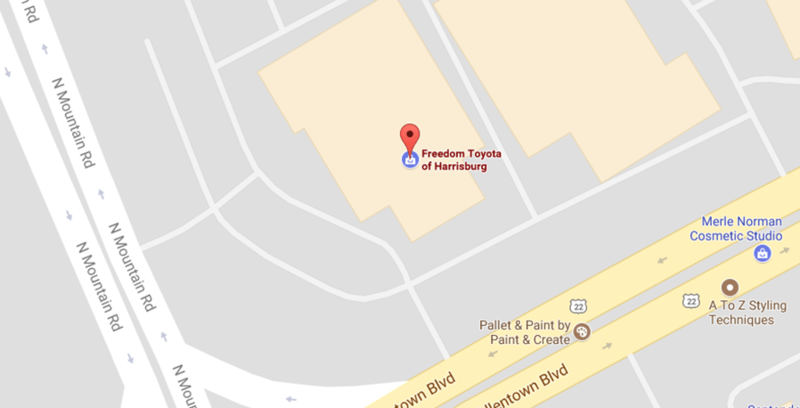 Freedom Toyota of Harrisburg welcomes Carlisle, Hershey and Harrisburg, PA area drivers to our full-service Toyota dealership. 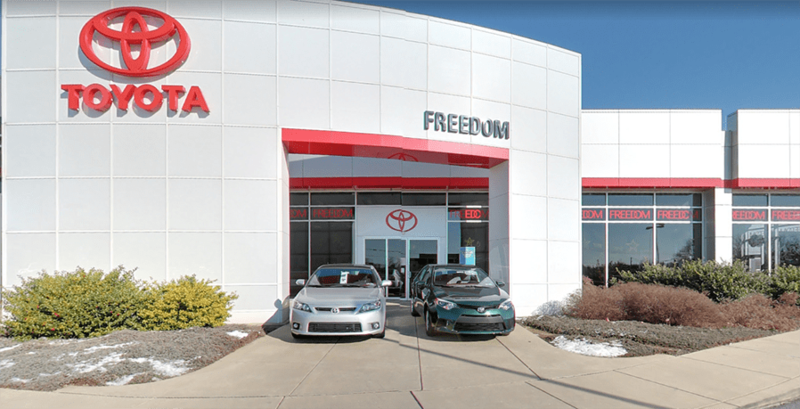 Whether you buy a new Toyota or have your current car serviced by our Toyota Certified service technicians, you can take advantage of our exclusive Freedom Four program. From lifetime Pennsylvania vehicle inspections for your new car and every vehicle you own and a complimentary car wash with every Service Department visit, to access to pick up and drop off services and loaner vehicles, Freedom Toyota of Harrisburg is looking out for you. Choose Freedom Toyota of Harrisburg and enjoy our Freedom Four customer appreciation program and many other perks! Feel free to give us a call to (717) 545-4726! Have you been dreaming of driving the latest new Toyota Prius, Highlander or another Toyota model? Then shop our new Toyota inventory now, right here on our website. If you prefer, you can make the short drive from Carlisle, Hershey or the nearby area to our Harrisburg, PA dealership, where our Toyota sales associates will assist you in finding the right Toyota model or trim level for your needs and budget. Our pre-owned inventory provides exceptional value for your money too; shop our Toyota Certified Used Vehicle inventory or other quality used cars for sale on our lot. Have you already located the new Toyota you want to drive off our dealership lot? Then apply for financing today! Our Finance Department is known around Harrisburg and beyond for assisting car buyers of all credit levels, so if you have no credit or a low credit score, we encourage you to apply for auto financing here! When your Toyota Corolla, Camry, Sienna, Tacoma, Sequoia or any other Toyota or other make of vehicle needs maintenance or repair near Carlisle, PA, turn to the Service Department at Freedom Toyota of Harrisburg. From oil changes, filter replacement and battery inspections to new tire installation, brake jobs and ToyotaCare warranty repairs, our team of Toyota Certified service technicians does it all! You can call our service advisors today or schedule auto service online. When you visit for your service appointment, feel free to sit back and relax in our state of the art customer lounge and waiting area, which is outfitted with free Wi-Fi access, workstations, a kids zone and complimentary coffee, bottled water and snacks for service customers. Toyota drivers who are the do-it-yourself (DIY) type around Harrisburg and Hershey can contact our Parts Department for access to genuine Toyota parts and accessories at low prices.